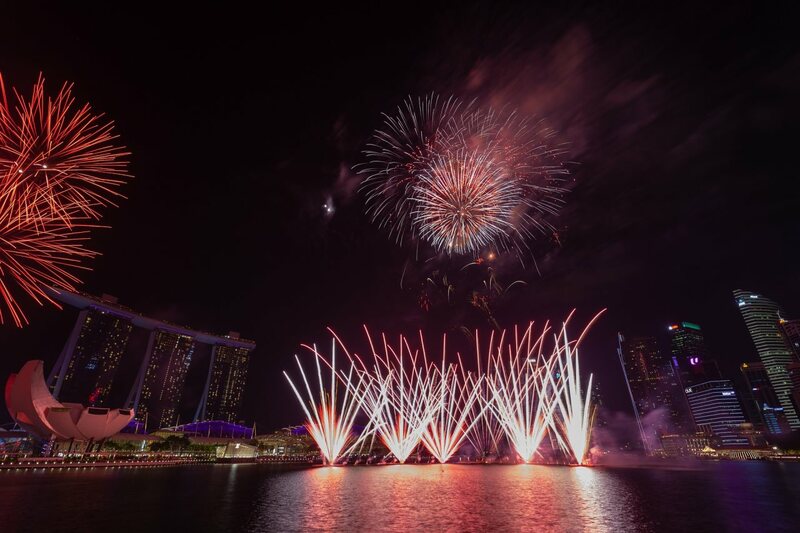 In Singapore, at least two separate occasions are always topped off by brilliant displays of fireworks — New Year’s Eve and National Day in the month of August. 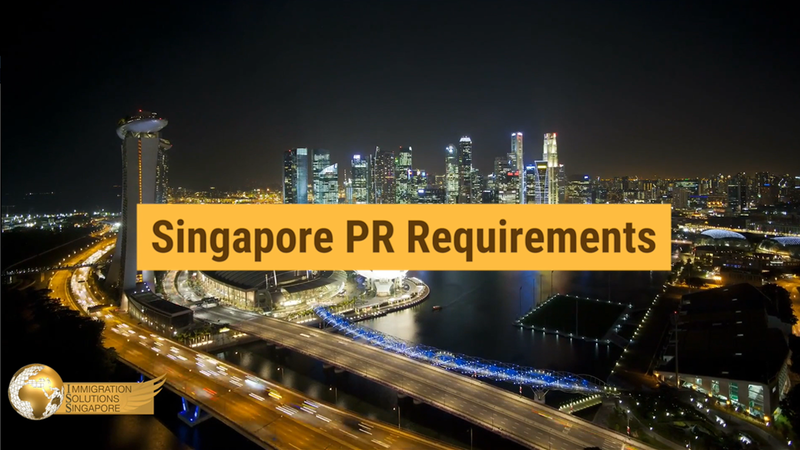 Singapore PR applicants may be delighted to learn that they can apply for tickets to the National Day Parade, where they can enjoy the fireworks display, right in the thick of things. However, do not be dismayed if you are unable to procure any tickets! You can still watch the fireworks from plenty of other spots around the island, ranging from places that are freely accessible to the public as well as certain premium locations for a fee. Here are seven of them. Officially known as The Helix, its prime location across the Marina Bay makes the world’s first curved bridge makes it the best place to catch a glimpse of the fireworks. This does make it one of the most popular locations for that purpose, so you do need to arrive early to beat the crowd. Here is a tip: pack plenty of refreshments on the day itself — you are bound to feel at least a little peckish while waiting for fireworks to appear. While time tends to fly with the right company, you may also wish to bring along a deck of cards just in case you do get a little bored. Not quite so fond of crowds? Try your luck at the considerably calmer Stadium Waterfront at Kallang Wave Mall. There, you will be able to enjoy an unobstructed view of the fireworks with your loved ones, away from the hustle and bustle of the city centre. Before the fireworks roll out, consider enjoying a meal at one of the numerous eateries at the shopping mall beforehand. Shopaholics may also be pleasantly surprised by the selection of shops at Kallang Wave Mall. Easily accessible on foot within 5 minutes from the Marina Barrage, Bay East Garden is yet another excellent location for fireworks viewing. As the second largest garden in Gardens By The Bay, its wide expanse makes it a little easier to find a good spot, compared to The Helix. Be sure to remember to visit the rest of the beautiful, world-renowned Gardens By The Bay, though! The Flower Dome is easily one of the best attractions there — perhaps even the best. With plenty of food and beverage options available on site, you are also unlikely to go hungry while waiting for the fireworks to appear! If you are willing to splurge a little extra, consider a brief staycation at one of the hotels in the area. Hotel rooms in the iconic Marina Bay Sands that face the Marina Barrage offer one of the best views of the fireworks. Picture enjoying an excellent room to rest and amazing serviced meal alongside perhaps a glass of wine or champagne as the evening sky lights up in a dazzling display of fireworks. If you prefer, you can even do so as you soak in the atmosphere on CE LA VI’s rooftop bar. If you are unwilling to book a room in Marina Bay Sands, you can still head to The Lawn right opposite it. As the name suggests, this is the open grassy area between The Sail and Marina Bay Financial Centre. You should still be able to catch glimpses of fireworks on National Day and New Year’s Eve from there. Perhaps bring along a picnic mat and some refreshments to complete your evening. However, do note that the view of the fireworks may be slightly obstructed by surrounding buildings. Singapore’s national performing arts centre, Esplanade, comes with an open-roof terrace that offers a slightly elevated view of the fireworks. The terrace is spacious enough to house a decent crowd, so you should be able to find a good spot on it as long as you avoid arriving way too late in the evening. In order to avoid being too late, you may consider spending a few hours beforehand exploring the whole of Esplanade. From fine restaurants to well-constructed galleries, the Esplanade should be able to keep you and your family occupied for hours on end. Willing to pay a little extra? With a basic fee of $33 per adult, the Singapore Flyer offers visitors an unadulterated view of the fireworks. Enjoy the brilliant burst of fireworks all in the comfort of cool air-conditioning. Each capsule is enclosed by a glass that is coated with a filter that can protect you from harmful ultraviolet rays of the sun, so there is hardly any cause for concern on that end. You can even spend a little extra on a romantic dinner or simply a glass of champagne just to set that little extra festive atmosphere on the Singapore Flyer, if you so desire.